McAllen Metro bus driver Rene Olivo, right, takes passengers' fares as they board the Route 4 bus Wednesday, May 30, 2018, in McAllen. The city of McAllen has created a phone app for the bus system that shows the real-time location of the bus and expected arrival times. 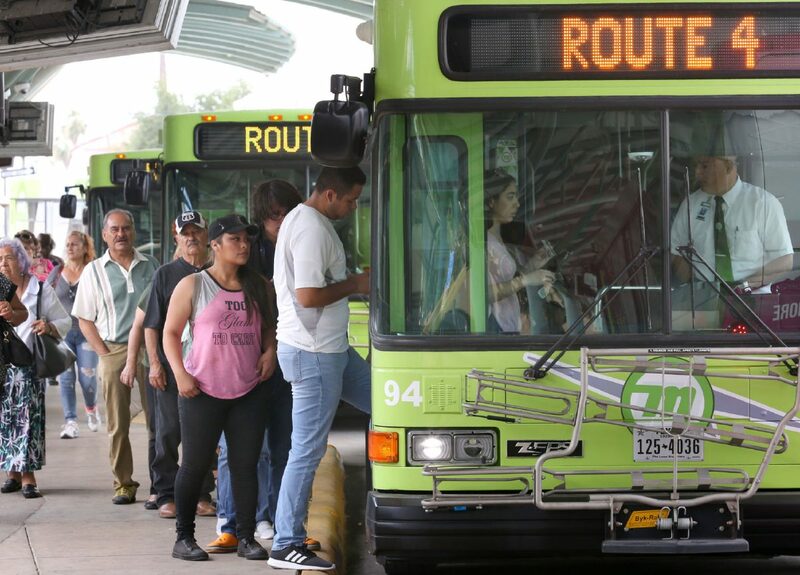 McALLEN — The city’s metro bus system launched its first mobile app Wednesday, an effort to improve rider accessibility and keep Metro McAllen on par with public transportation systems across the country.